“Is champagne wine?” I am asked again and again. Of course it is and the good stuff is the result of one of the most painstaking and labour intensive production processes anywhere in the wine world. As such it does not get the attention it deserves – and it certainly does not deserve to be sluiced back at parties and receptions without a care for what it tastes like. It should be savoured like any good wine. 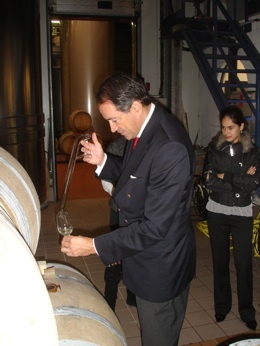 Bruno Paillard with one of his ‘babies’ and, right, drawing a sample from barrel. One producer who would very much agree with this approach is Bruno Paillard. 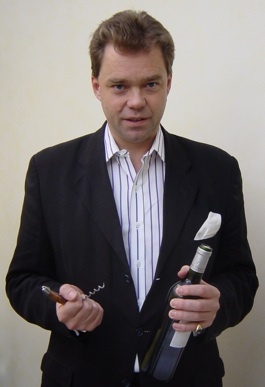 Nowadays he might be seen as very much part of the champagne establishment but that was certainly not the case 30 years ago when, as a champagne broker, he set out to produce his own champagne. All sorts of bureaucratic obstacles were put in his way but he persevered, even going as far as selling his cherished Mk 2 Jaguar to raise funds. 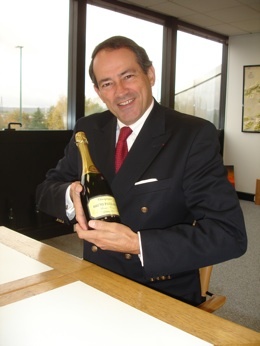 His obstinate belief that quality should be given precedence above all else saw him through and these days he is credited with the creation of the first new champagne house in about a century. His ultra-modern premises date from 1990 and they are in stark contrast to the venerable cellars owned by the long-established names. But this is a tightly run, slick operation that makes do without the cobwebs and the labyrinths that some would have us believe are indispensable to the making of fine wine. 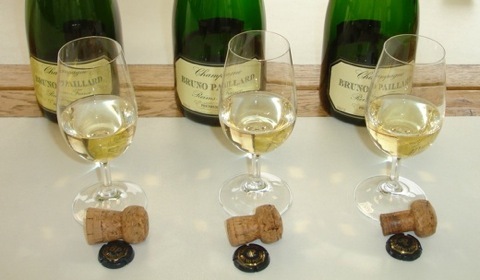 And Paillard’s champagnes are, first and foremost, wines and should be treated as such. About half a million bottles are produced annually with 70 per cent going to export to such markets as the USA, the UK, Belgium, Japan and Ireland, where the distribution is handled by Searsons of Monkstown. (www.searsons.com). Three examples of the same wine - with different disgorgement dates. 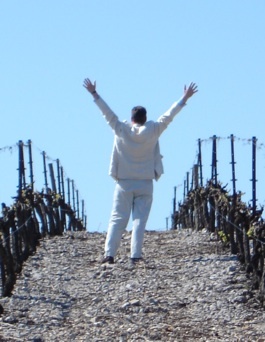 One of Paillard’s tenets is that we should take much more time and care with champagne and he certainly treats his like favoured children. The house style is fresh and delicate rather than rich and robust but that is not to say that it is a shrinking violet. It simply relies on finesse rather than outright power to make an impression. The Brut Première Cuvée is composed of 45 per cent Pinot Noir, 33 per cent Chardonnay and 22 per cent Pinot Meunier, drawn from 30 different villages. Only the best juice from the first pressing of the grapes is used and part of this will then be fermented in oak barrels, the remainder in stainless steel. The resulting wine is aged in bottle, on its lees, for three years before disgorging and is then given a low dosage, never exceeding 10 grams per litre. A high dosage can be used to obscure shortcomings in a champagne; when it is low the wine is laid bare, as it were, and must be of good quality. Furthermore, since 1985, Paillard has always stated the date of disgorgement on his back labels allowing consumers to track the development of the wine as it ages in bottle. This is a fascinating exercise and if you can resist temptation and put a few bottles away in a cool dark place then you will be rewarded with wines of extra complexity and development.